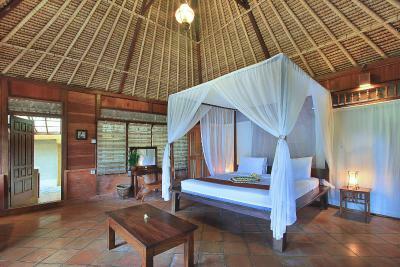 Lock in a great price for Graha Moding Villas – rated 8.6 by recent guests! Staff were above and beyond, the view, the location... would absolutely recommend! 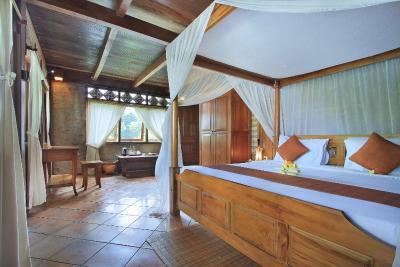 Amazing staff, they make the experience an outstanding one, loved the peace and views. The pool was lovely. We also had the 5 course menu experience which was really great. The staff were friendly and very accomodating! We will surely come back. They provide free shuttle service. It wonderful. The staff were very nice and attentive to ones need. The water in the pool is perfect. 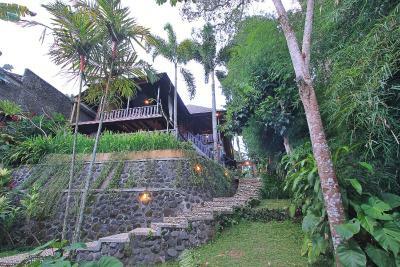 Great staff, amazing views, relaxing atmosphere,beautiful rustic rooms, great massage , easy and convenient access to Ubud and all attractions around. 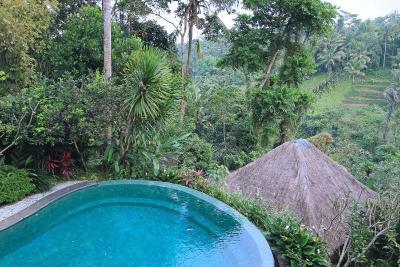 Nice pool overlooking the jungle! 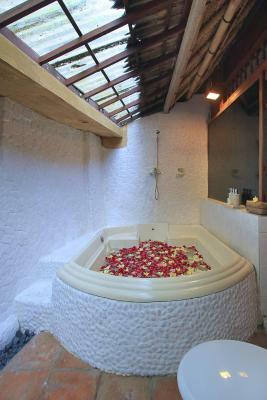 Big room and bathroom. 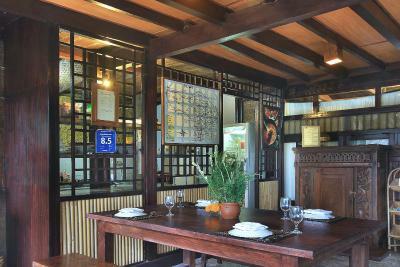 Staff is very attentive and nice, always around to help out. 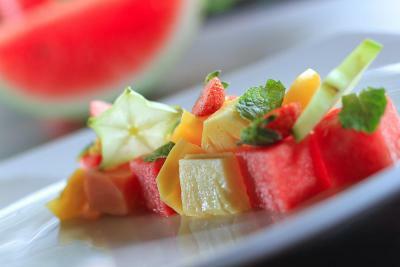 Breakfast is good and It's nice to enjoy it with a pool view. 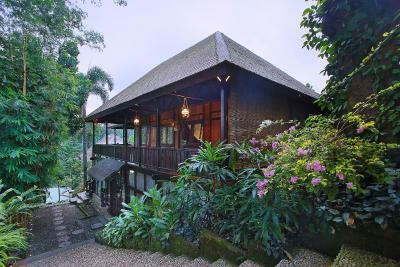 location is good if you're looking to be in the middle of green and close to rice terraces, coffee plantation (by scooter). 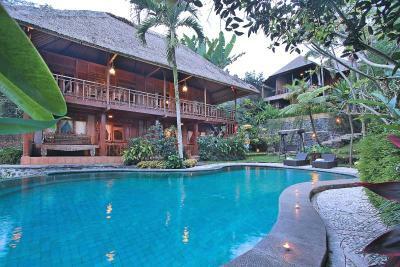 Graha Moding Villas This rating is a reflection of how the property compares to the industry standard when it comes to price, facilities and services available. It's based on a self-evaluation by the property. Use this rating to help choose your stay! 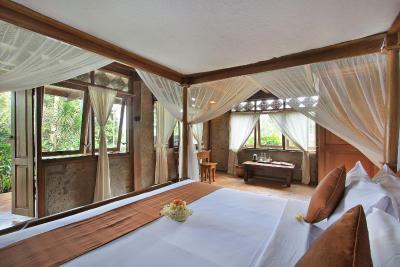 Set in a peaceful area in Ubud, Graha Moding Villas is a 10-minute drive to the famous Monkey Forest. 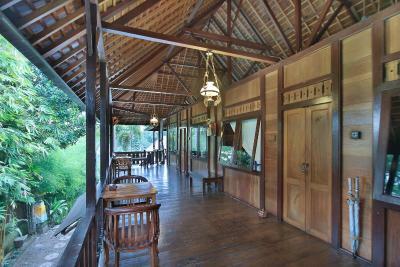 It offers free WiFi, an outdoor swimming pool and spacious accommodations that overlooks the garden or river. 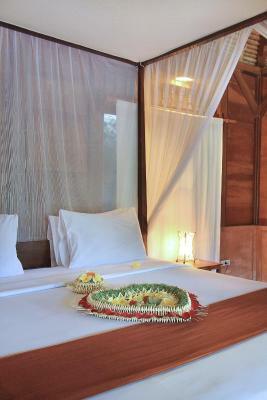 Guests enjoy free scheduled shuttle to Ubud city center. 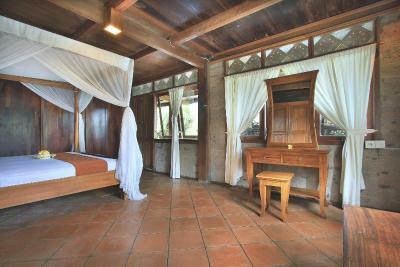 Villas Graha Moding is a 10-minute drive from central Ubud and a 15-minute drive from Antonio Blanco Museum. 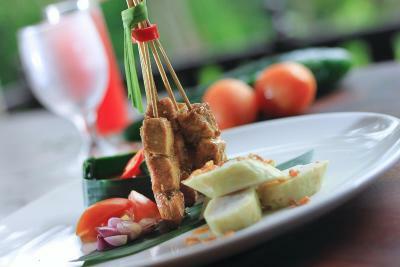 Ngurah Rai International Airport is a 1.5-hour drive away. Airport shuttle is available at an additional charge. 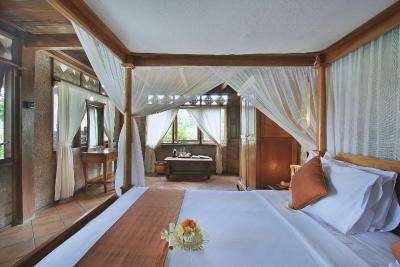 Tastefully decorated, the rooms and villas come with traditional Indonesian furnishings with large windows. 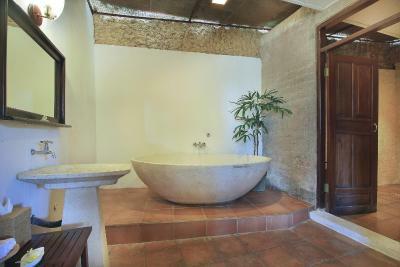 Naturally cooled, all units are equipped with a private balcony, seating area and an private bathroom. 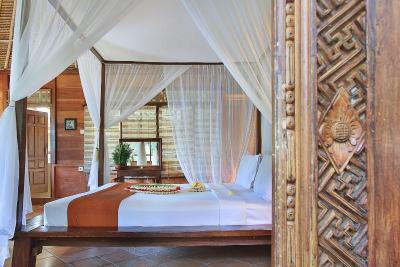 Recreational choices include indulging in a body massage, or renting a bicycle to explore the surroundings. Staff at the tour desk can assist with travel and sightseeing arrangements. 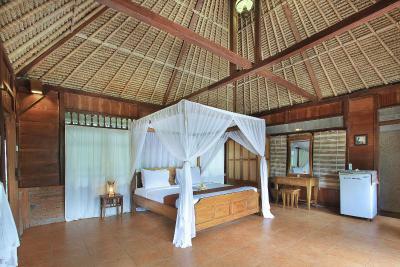 When would you like to stay at Graha Moding Villas? 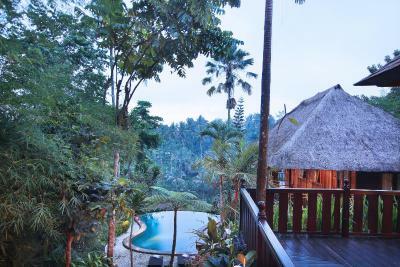 Located amidst the serenity of Bali's stunning landscape from the central UBUD Bali's creative and cultural village, situated on rural side overwhelmed by the natural surroundings. 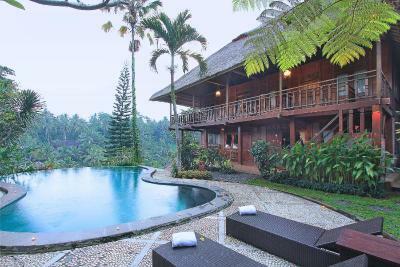 House Rules Graha Moding Villas takes special requests – add in the next step! 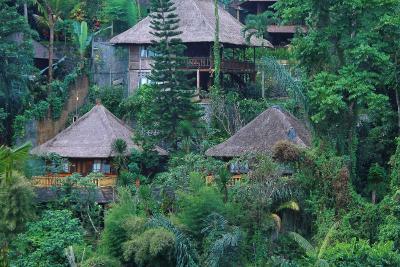 This resort village does not accommodate children. Graha Moding Villas accepts these cards and reserves the right to temporarily hold an amount prior to arrival. Please note that children under 8 years old cannot be accommodated in this property. THIS PLACE IS NOT FOR PEOPLE LOOKING FOR LUXURY. 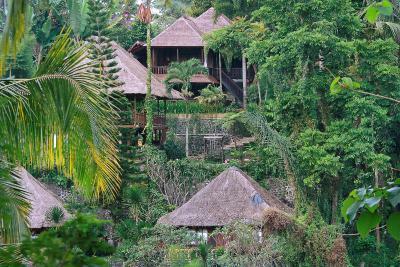 As it is positioned in the middle of the jungle there is lots of jungle life, creepy sounds at night and leaves falling through the holes in your house. 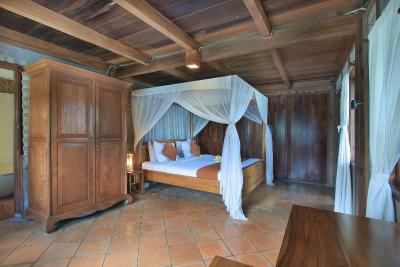 Also the villas are made of wood and you can hear everything. 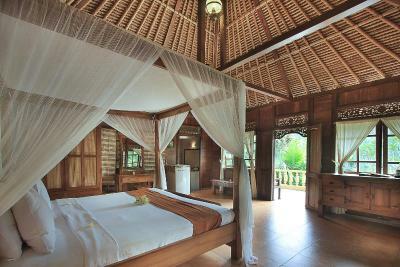 Having said that, the villas offer this authentic different experience in the middle of the jungle. 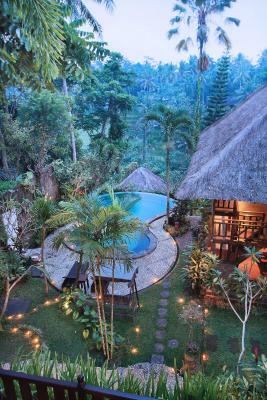 its charm is in the creepy crawler sounds, the sound of the river beneath you, the absolutely amazing jungle views and swimming pool. The room is very dark and noisy, you can hear your neighbours. Useless hairdrier. 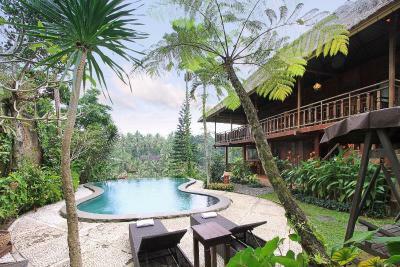 Overall the place is nice but the rooms are not of a high luxury place so expect a bit of dust or bugs here and there being in the middle of the jungle. Be aware of the stray dogs (typical of Bali) suggestion is to leave the place only by scooter (even because you cannot get anywhere on foot). No airco, bud ubid it cools off at night. 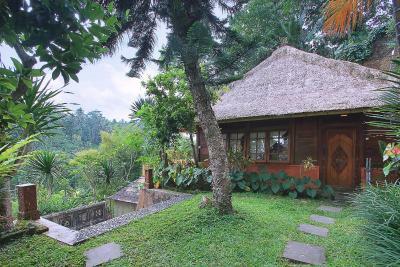 You can hear the people talk in the bungalow next door. 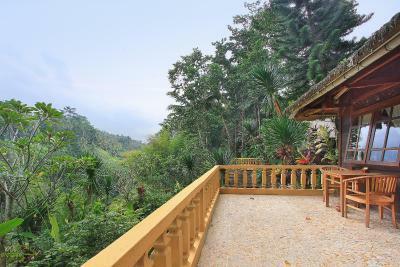 It is a bit far away from Ubud city, more than what I expected. 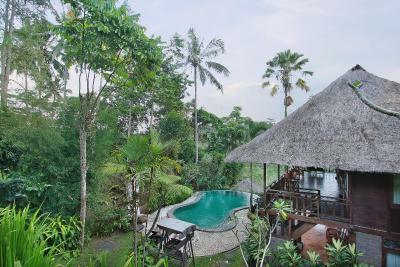 There are a lot of animals that run all over during the night, but it is somehow normal since the hotel is located in the middle of the jungle. It was an authentic paradise. 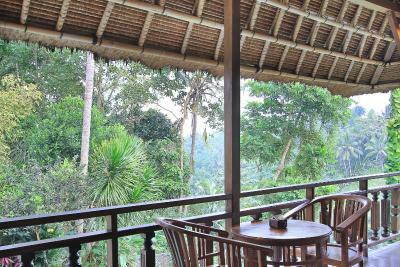 Nature, view to the jungle, the staff was really friendly and service minded. The noise from the above room, as people walk and push and pulled things around. As when they come back late and its noisy. 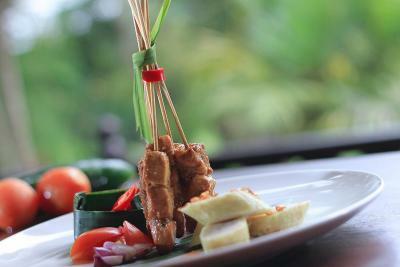 I love their breakfast served at the room corridor with the view of the pool and morning fresh air. The friendly staffs and services. The place is amazing, good there were no TV. Loved the aound of nature, birds, insects and water flow down the cliff. 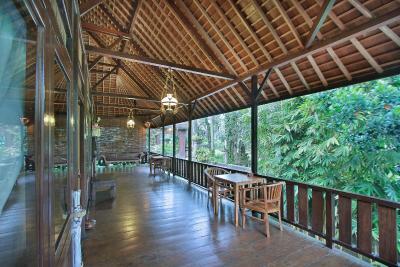 10minutes drive away from the busy UBUD central. Hotel provides free transport to the central. 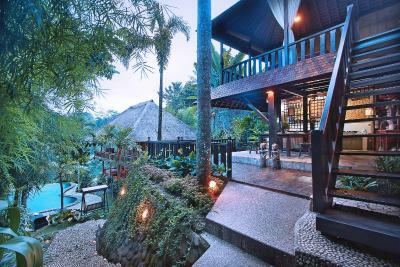 Just a right place for an amazing retreat and the restaurant is just outside across the hotel, was so good with their food and their presentation. 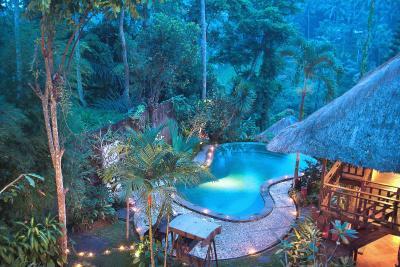 Everything was for a great value of money and worth my vacation in Bali trip at Ubud. 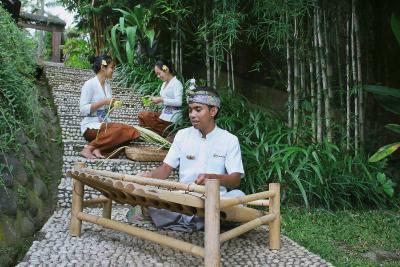 Will visit UBUD again. To many dogs in the near area. One time they start a dog concert in the middle of the night. Very nice hotel area, clean and very kind personal. 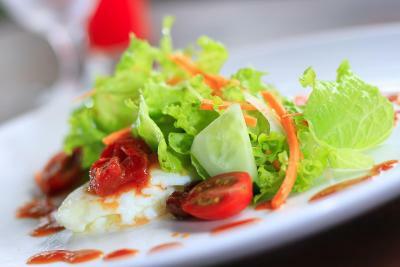 The food was delicious and always served on time. I would recommend this hotel for friends and family. All the staff were so friendly and would do anything for you. They kept everything clean and tidy. 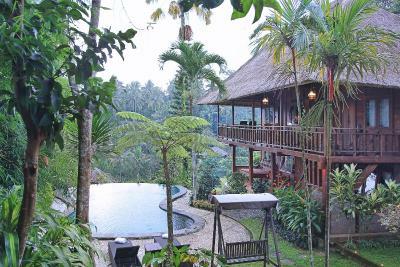 Not knowing where to go in Ubud the staff were a great help and would order taxis for us to drive into the centre. The staff was worth the visit. So nice and helpful! The hotel was cozy and beautiful and the pool was so perfect! 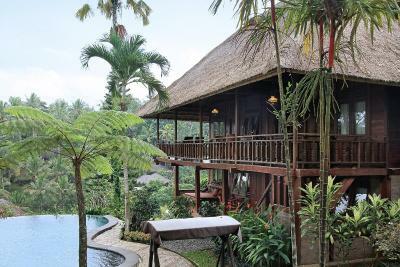 It was nice to be away from the busy Ubud centre and be secluded but not too far away. Yogi the villa host was amazing, so caring and thoughtful. Thank you for making our stay so enjoyable and making my husband feel so special on his birthday.